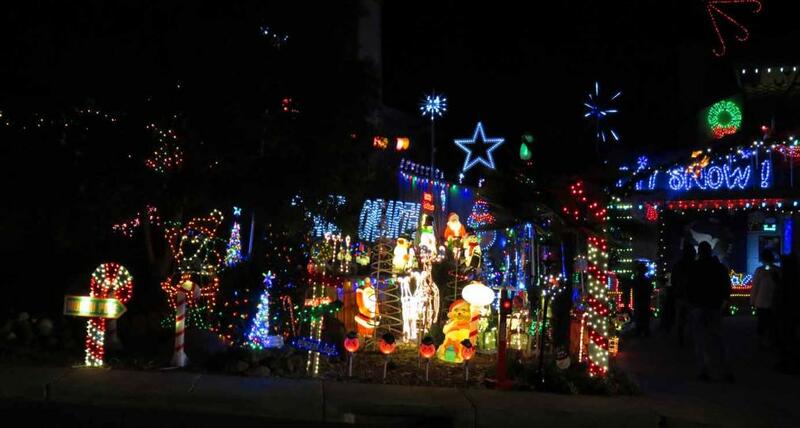 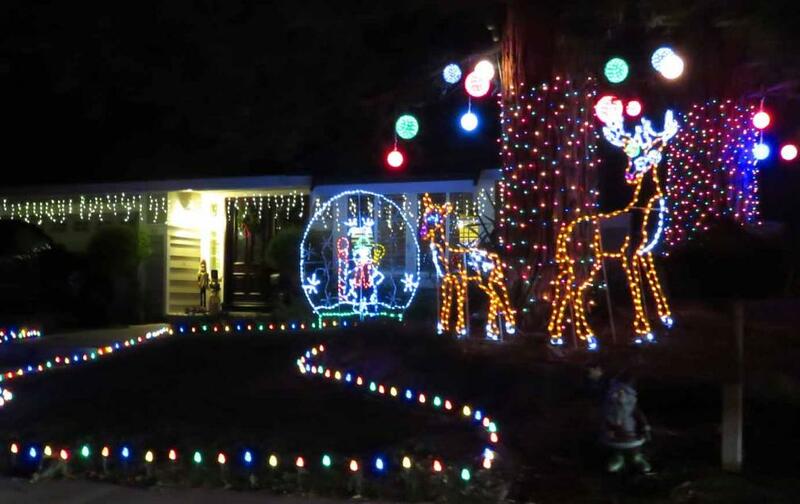 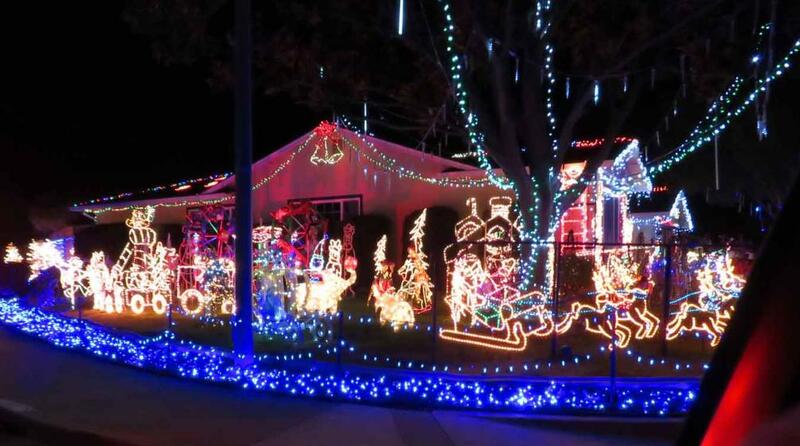 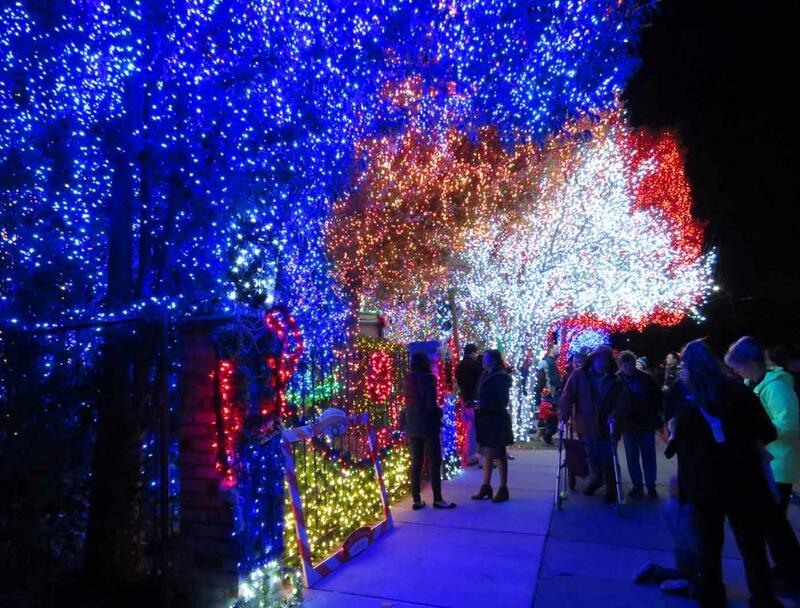 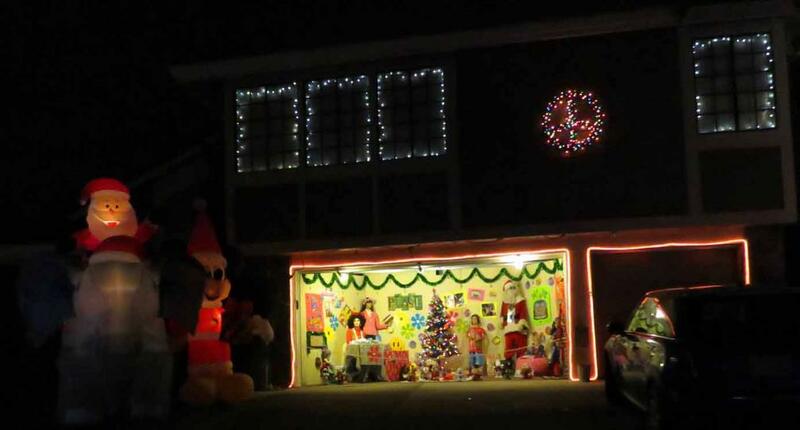 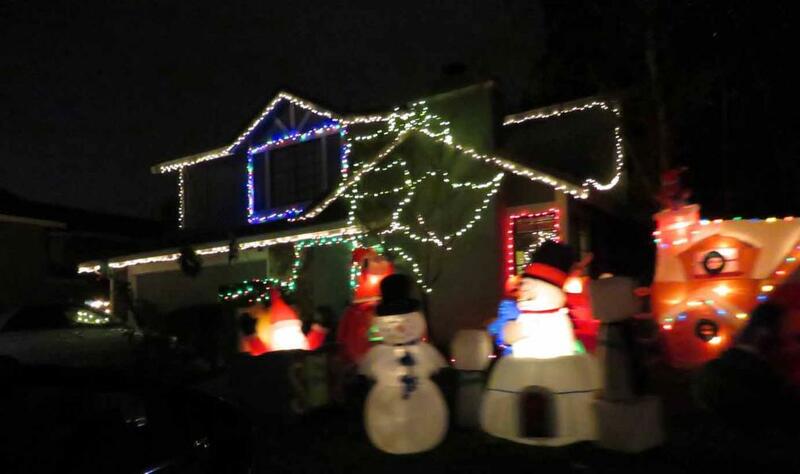 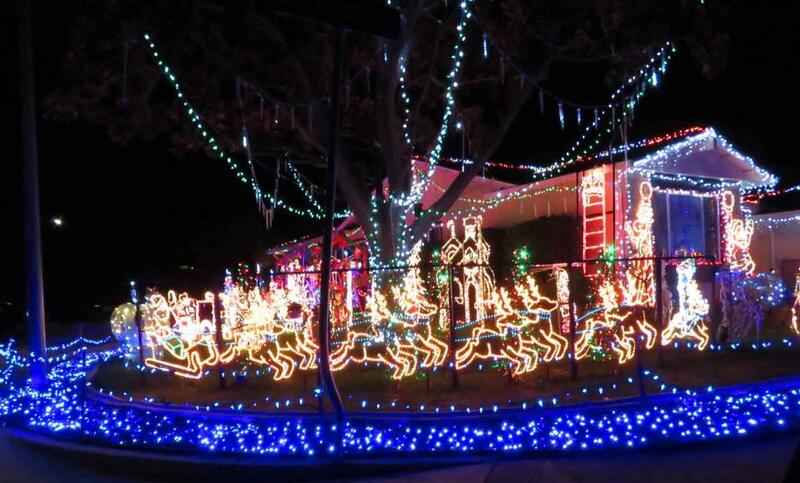 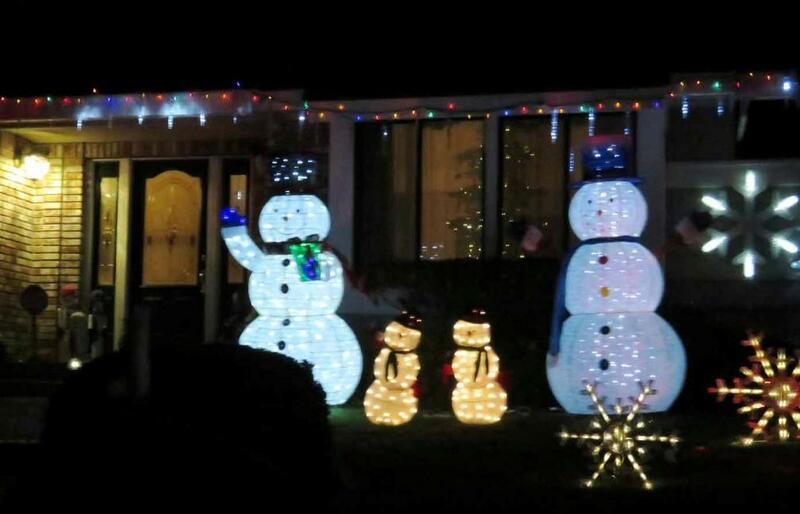 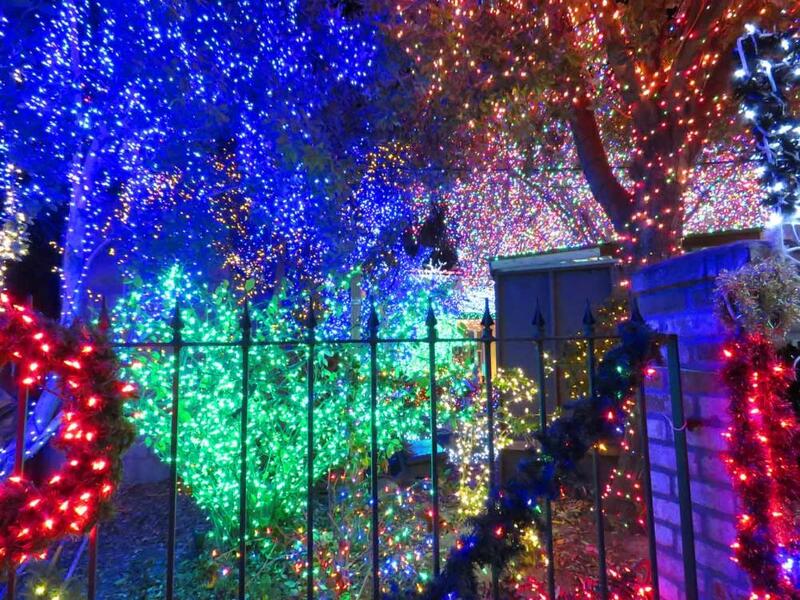 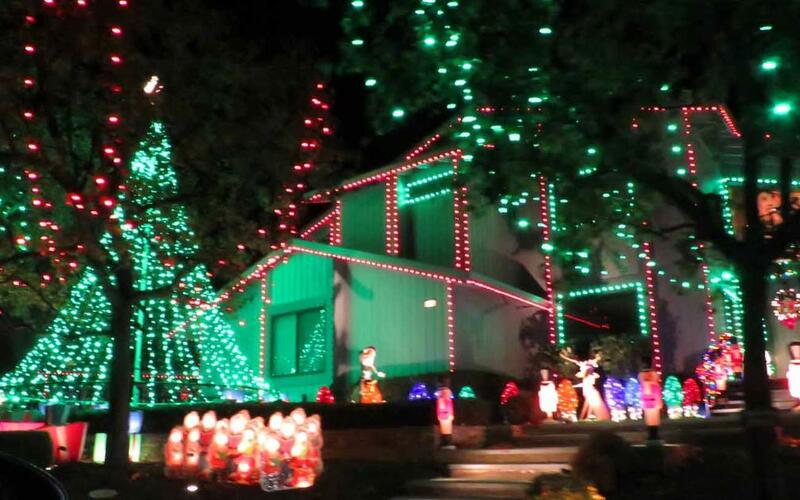 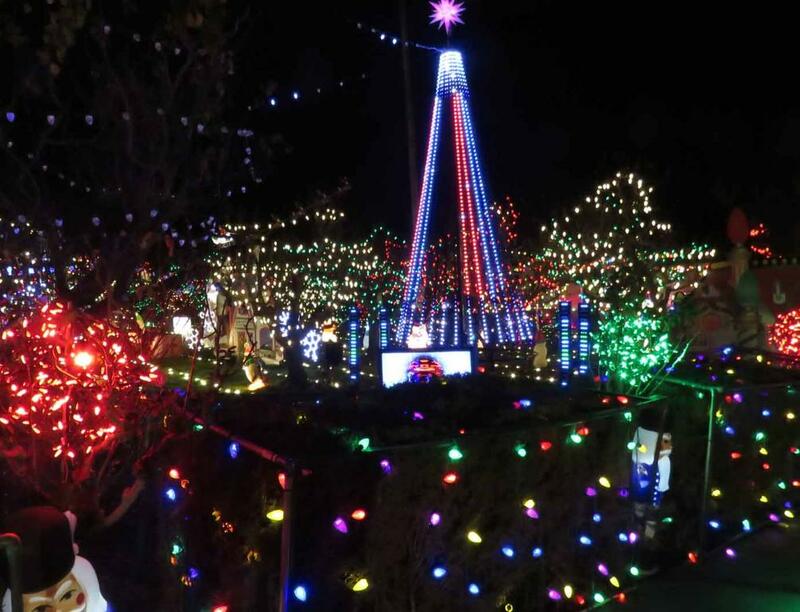 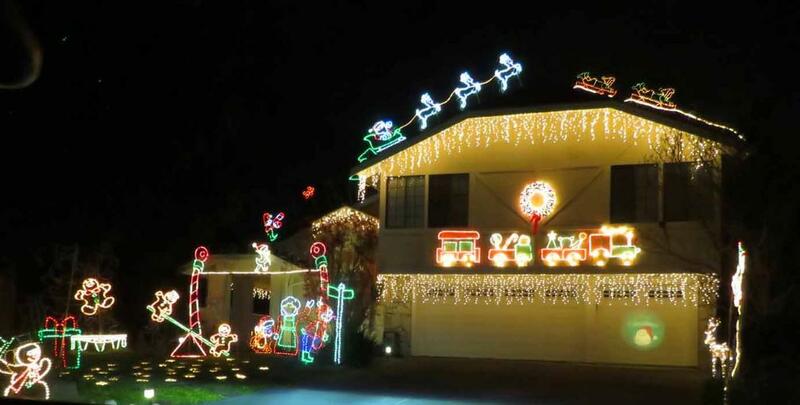 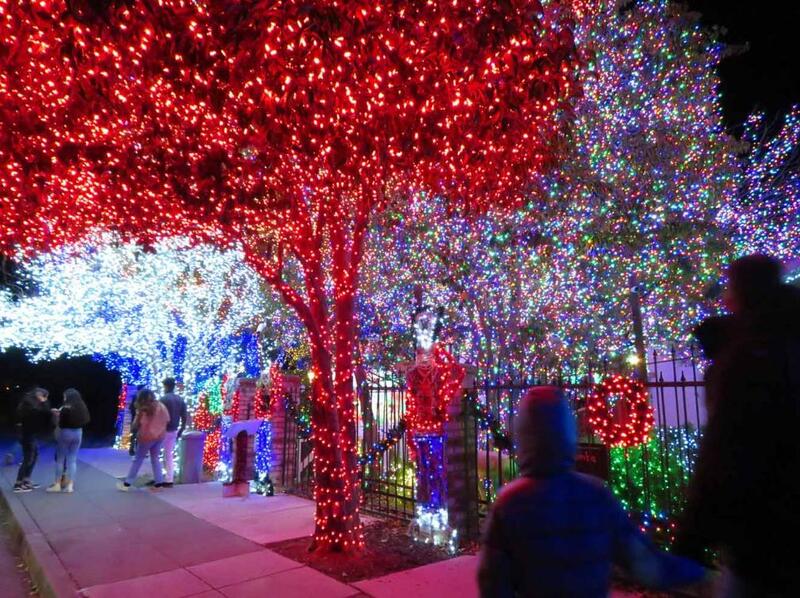 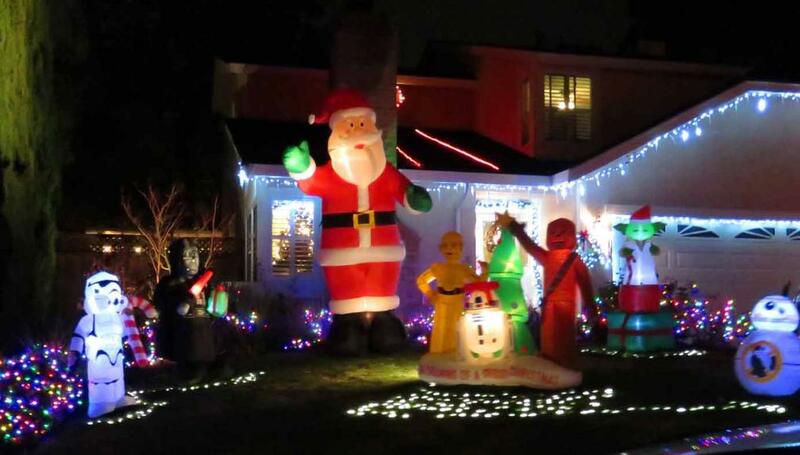 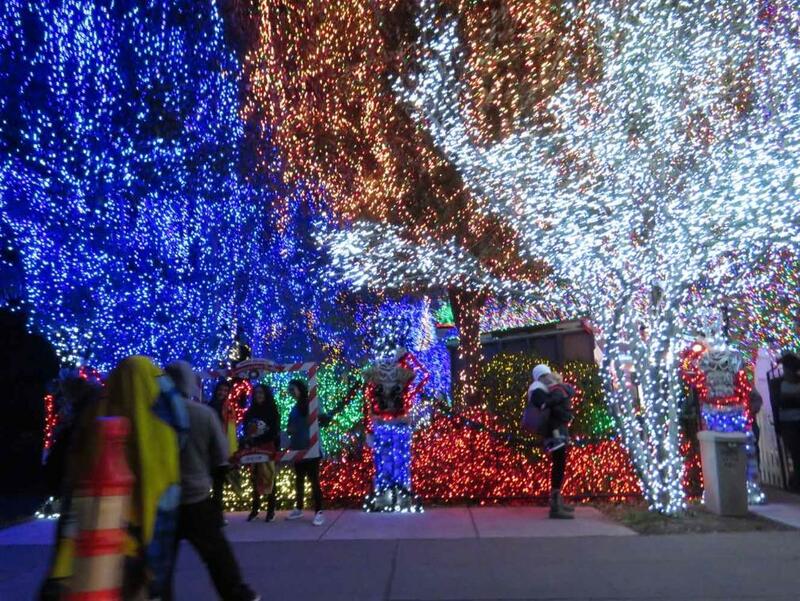 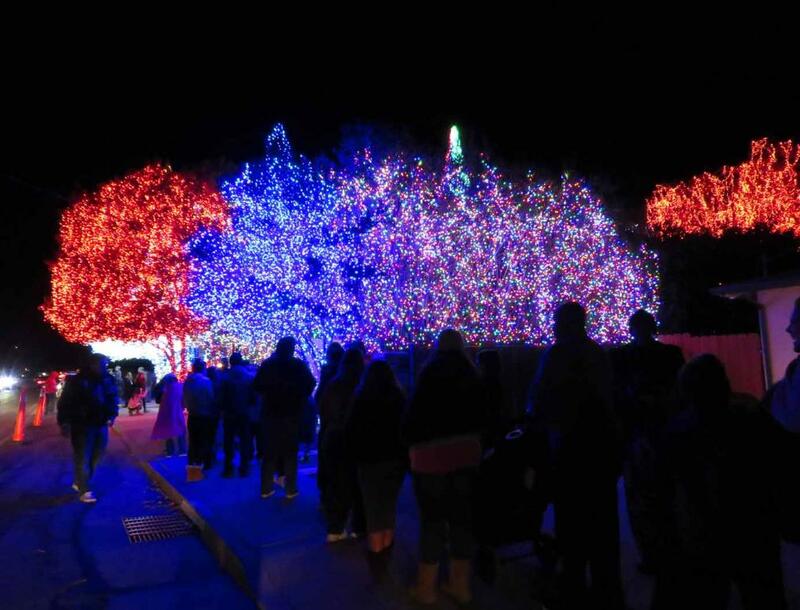 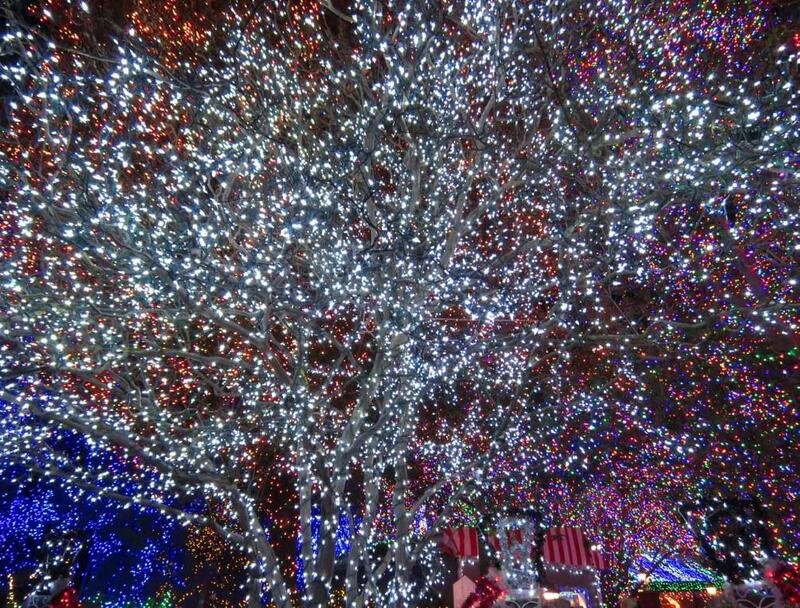 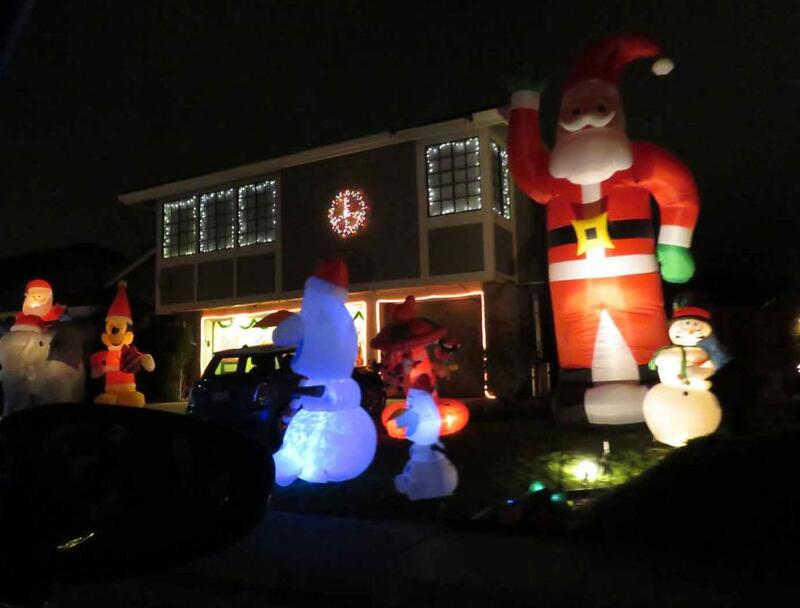 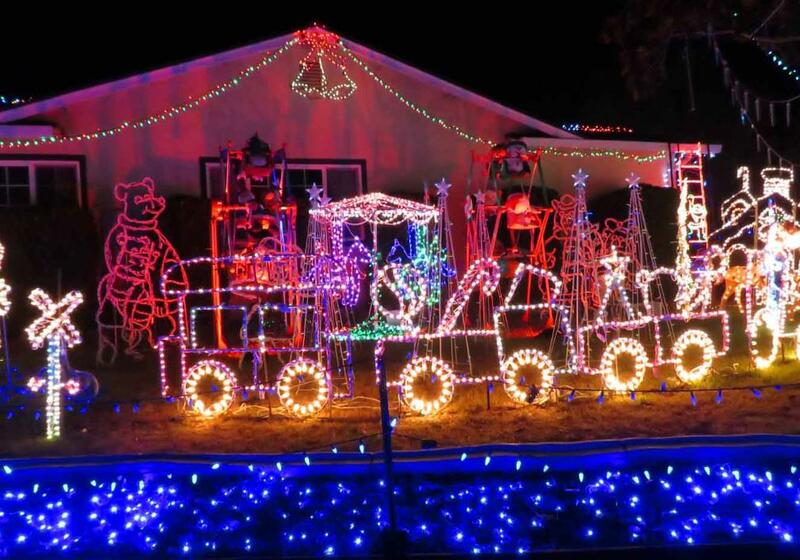 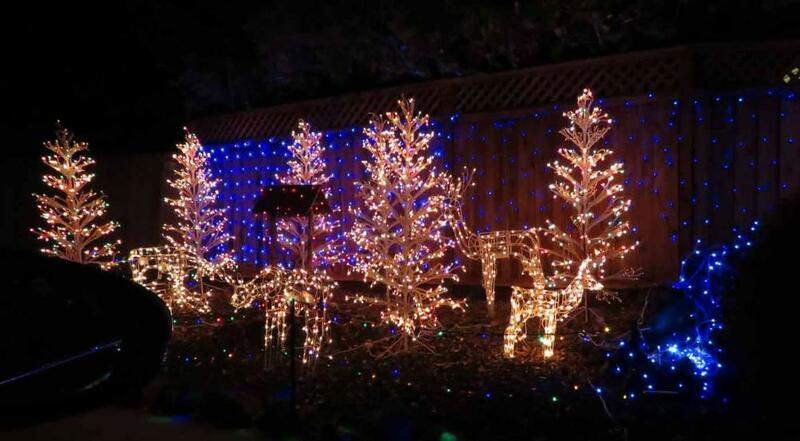 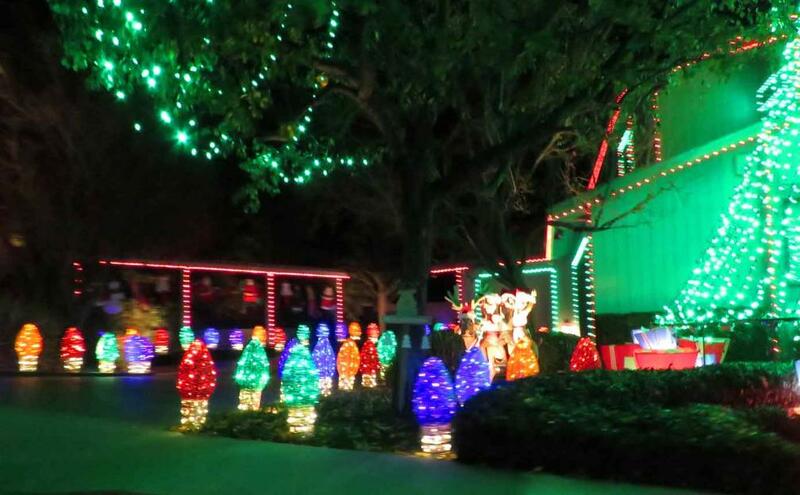 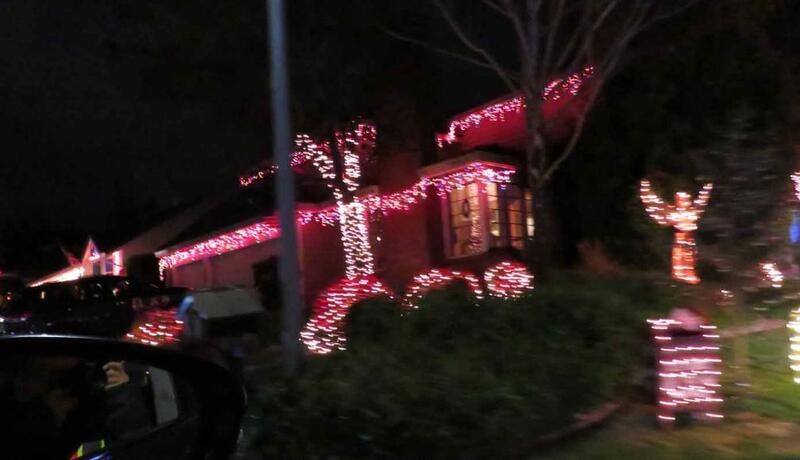 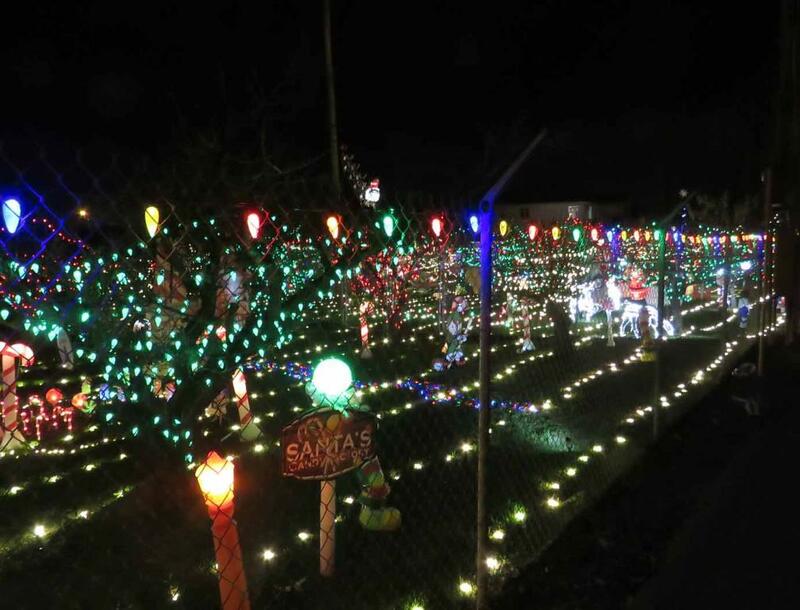 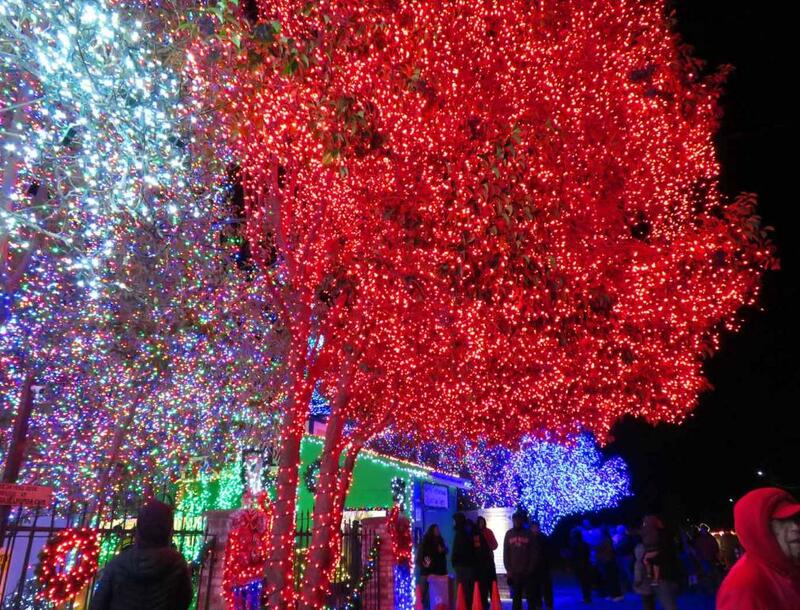 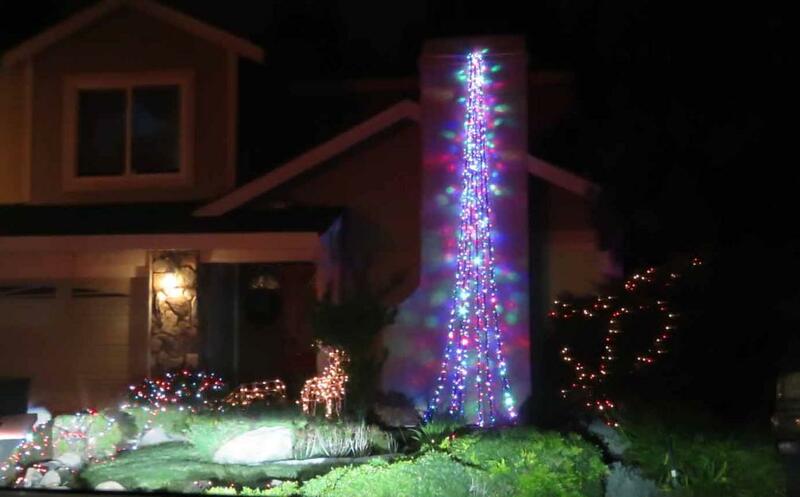 San Ramon, California to enjoy the fantastic Christmas Light shows. 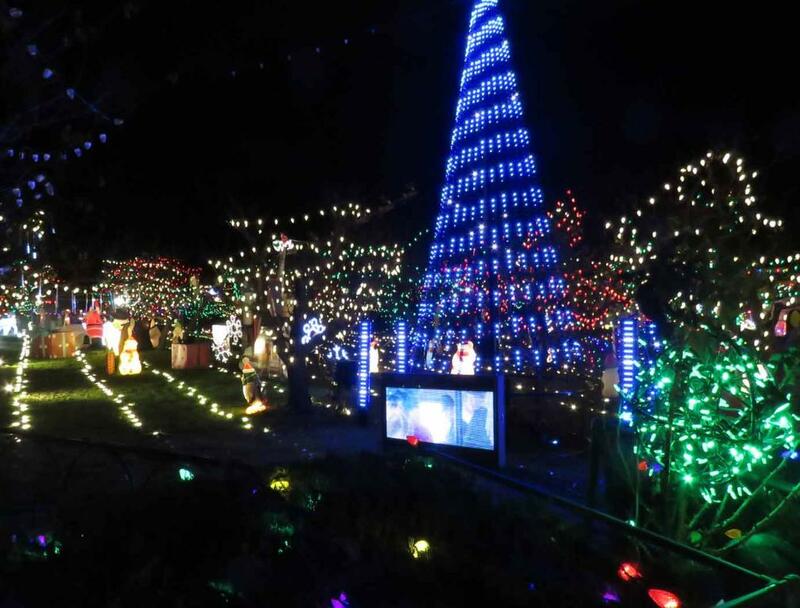 several other sights and sounds, it's the place for many people to visit every Christmas. 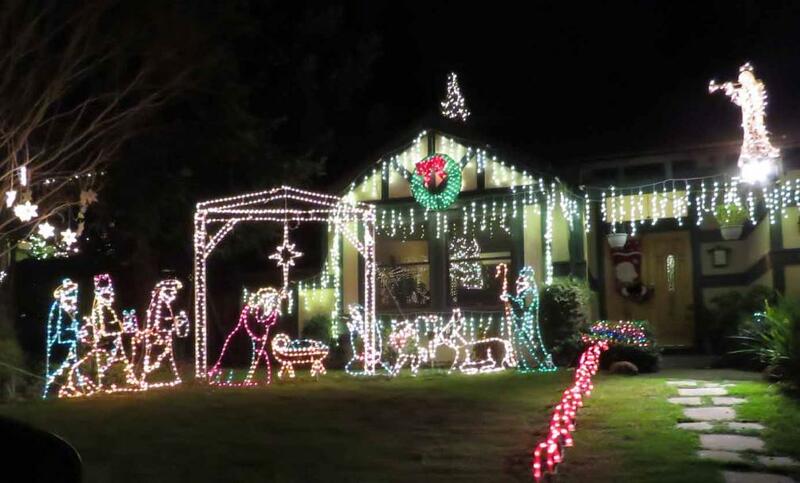 By the deacon’s count, the bridge in this home has seen 56 wedding proposals. 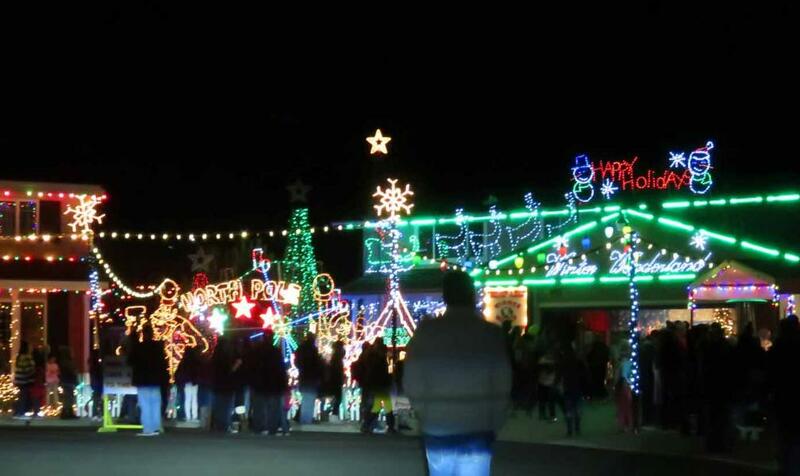 controlled Really Big Lights on the uphill side property line dance and swing to the music. 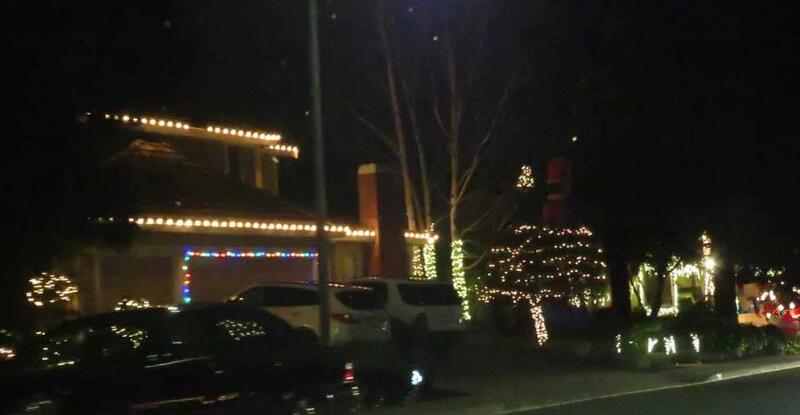 Christmas spirit. 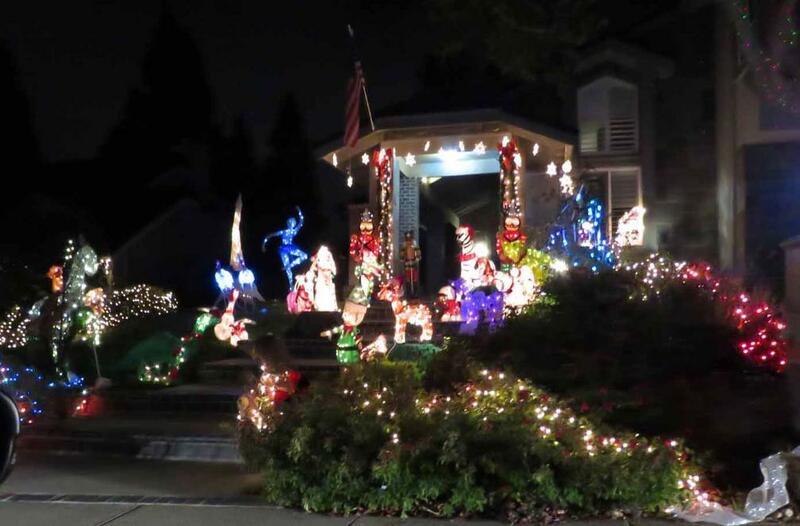 It is a gift to the community to enjoy the holiday season. 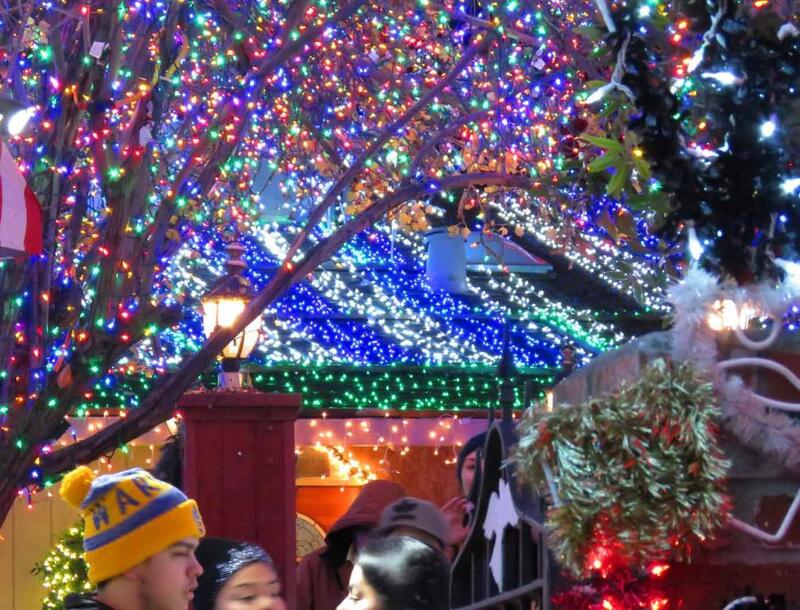 The sound in this movie shows the happyness of the visitors in the Christmas-Holiday spirit. 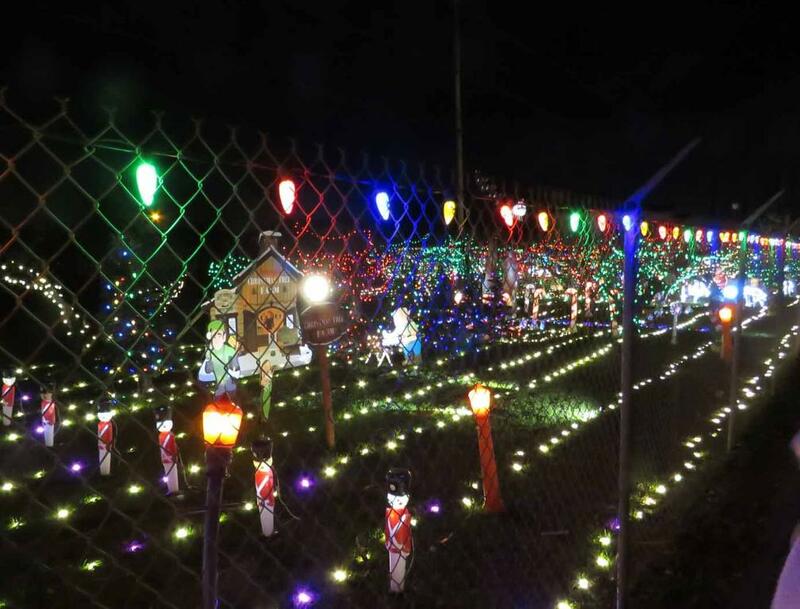 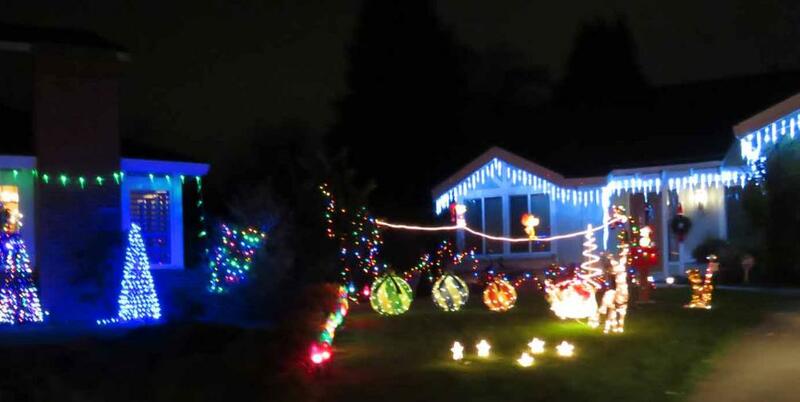 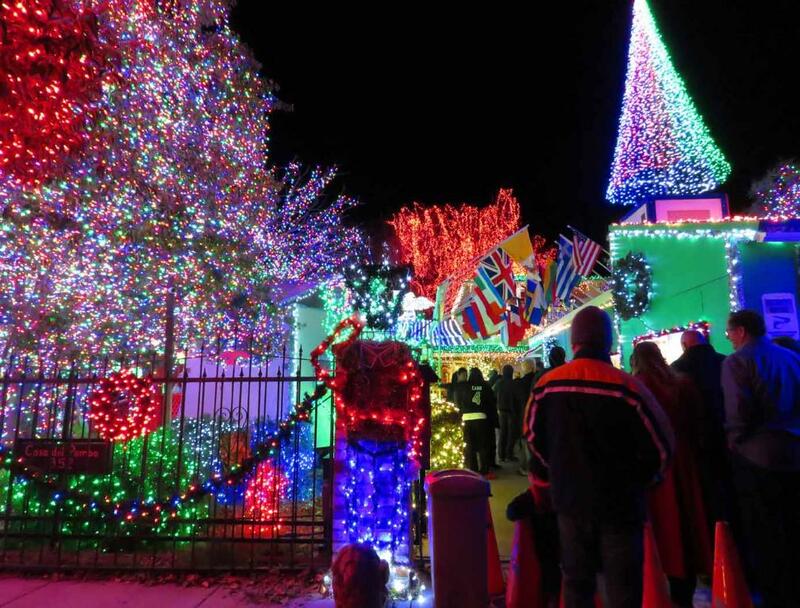 Widmer World was featured on ABC's Great Christmas Light Fight. 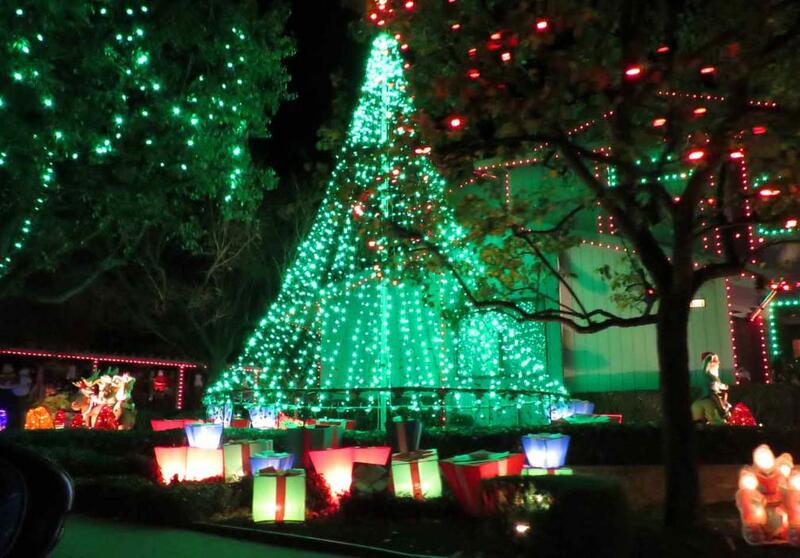 This is Santa Bob's World located at 2612 Calle Reynoso, Pleasanton, CA. 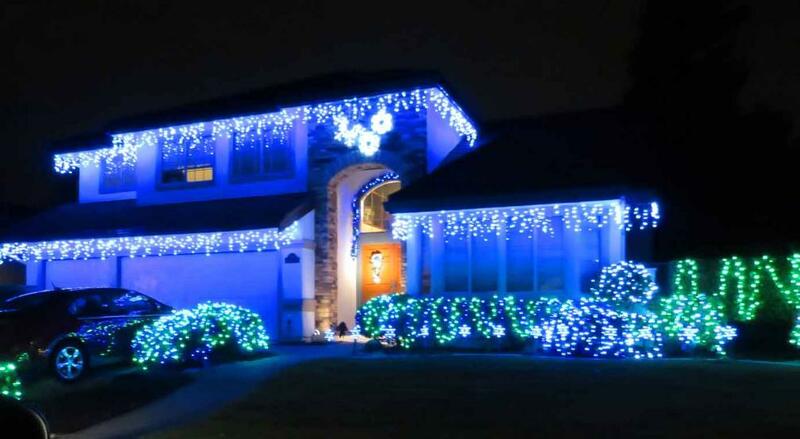 as shown in the following. 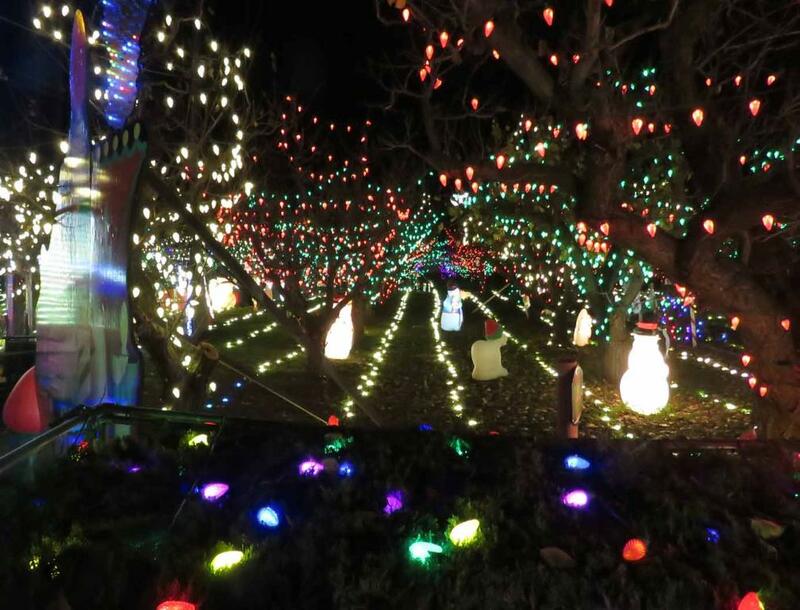 into a North Pole-themed winter wonderland, including wrapping 60 trees in lights.